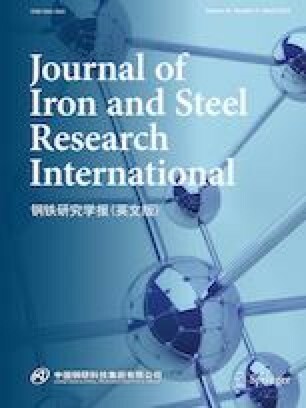 The effects of aluminum addition on bainite transformation and properties of carbide-free bainitic steels containing 0.22 wt.% carbon were investigated by two different types of heat treatment processes: continuous cooling process (CCP) and isothermal transformation process (ITP). The results indicate that for the CCP treatment, Al addition significantly promoted the ferrite and bainite transformation; however, it did not significantly increase the product of tensile strength and total elongation (PSE). For the ITP treatment, Al addition significantly promoted the kinetics of bainite transformation, and thus, more bainite was formed with Al addition; however, it was found that Al addition resulted in a decrease in tensile strength and an increase in elongation of the tested bainitic steels. Moreover, the effects of Al addition on comprehensive property were profoundly dependent on austempering temperatures. When the austempering temperature was higher (430 °C), PSE significantly increased with Al addition, whereas it decreased at the lower austempering temperature (400 °C). Therefore, it can be concluded that the effects of Al on properties of bainitic steels were more significant at higher austempering temperatures. The authors gratefully acknowledge the financial supports from National Natural Science Foundation of China (Nos. 51274154 and 51704217), Major Projects of Technological Innovation in Hubei (No. 2017AAA116), the Special Fund of Wuhan University of Science and Technology for Master Students’ Short-Term Studying Abroad, and the State Scholarship Fund of China Scholarship Council.